I’ve never been a fan of the petty arguments that erupt between gamers, from console wars to preference of game mode. Actually, that’s not entirely true. Growing up in the 90s, I was into the whole Nintendo vs. SEGA rivalry (Team Nintendo, by the way! ), but several console generations and years of life experience later, it does feel rather silly. I know everyone likes to wear their brand of choice as a badge of honour and represent the “home team”, but in the grand scheme of things, we’re all enjoying the same hobby. I believe that gamers game; give me just about any platform and some games for it, and I’ll find a way to have fun messing around with them for an hour. Although we see this tribalism with many genres of video games, I would suggest that sports games invite an even more combustible demographic, due to the fact that their core audience is made up of two groups who are very passionate about what they like: gamers and sports fans. It’s why a lot of people in the basketball gaming community draw lines in the sand when it comes to playing NBA Live or NBA 2K. It becomes about associating yourself with a brand, or indeed a team, and wanting that team to win. That competitive attitude remains between gamers who enjoy the same title but prefer different experiences, namely the offline modes and online play. These rivalries are often defined by stereotypes. In the age-old Console vs. PC Wars, PC users are characterised by the most unflattering stereotypes of antisocial nerds. In return, console users are portrayed as immature and bratty. Their hobby is the same, but both believe they’re the only ones enjoying it correctly. The same goes for online and offline basketball gamers. Offline gamers are accused of being stuck in the past and less skilled because they aren’t taking on a human opponent. Online gamers are often seen as downright toxic, caring more about competitive mechanics than the core experience of simulation basketball. 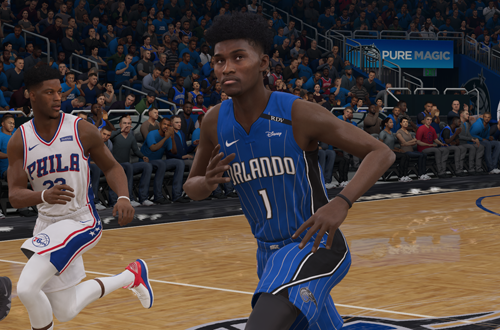 Regardless of any accuracy in those claims – and there is some – both are viable and fun ways to hoop it up on the virtual hardwood. Needless to say, both online and offline gamers believe they’re the ones that the developers should be catering to. The fact of the matter is that in 2019, developers really need to cater to both sides of the fanbase, providing robust single player modes in addition to online play that’s properly balanced and competitive. Oh, and at the same time, be a realistic depiction of the NBA! That’s all easier said than done, especially since online and offline play must share the same gameplay mechanics. Their sliders and difficulty can be tuned independently of one another, but elements such as shooting mechanics, attributes, and player physics, are all global. This means that focusing too heavily on one or the other, either during development or when making tuning updates in a patch, runs the risk of ruining the experience for one of them. Make a tweak that enhances the realism offline, and it may make online play cumbersome. 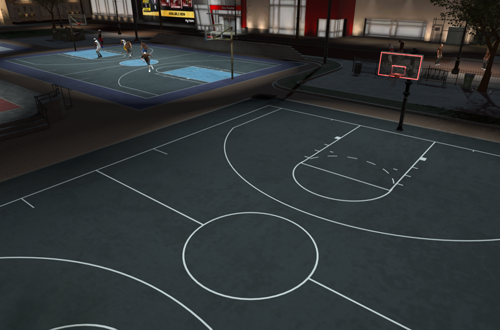 Adjust the gameplay with online users in mind, and offline play can cease to resemble NBA basketball. It’s a delicate balancing act, and I don’t envy the developers at EA Sports or Visual Concepts for having to try to please both factions. At the same time, it’s a balance that NBA Live and NBA 2K need to find a way to strike in order to be the best games they can be, both offline and online. As a community, we can help with our feedback, but it’s difficult when we’re not on the same page and trying to shout over one another. It’s only natural that we’re all inclined to advocate for the issues that we’re personally concerned about, but we’re all too happy to dismiss each other’s concerns using the old standby of “Not my problem, therefore not a real problem”. In an effort to justify our preferences and put down the modes we’re not interested in, we don’t stand with each other. Instead, we’ll make ridiculous claims that “no one plays that mode anyway”, when really we only speak for ourselves. We only care about our mode of choice; our brand, our “team”. To be blunt, we all need to accept that there are a variety of ways to play basketball video games, all of which are valid and fun for the people that they appeal to. As I said, it’s important that modern basketball games can cater to both online and offline gamers. That means developers need to invest time and resources into both, and we as a community need to respect each others preferences and right – indeed, the necessity – to criticise elements we’re unsatisfied with. At the end of the day, we’re all playing the same game; we’re all partaking of virtual basketball. There’s no need, nor grounds to sneer at each other for the different ways in which we do so. Achieving the right balance is an ongoing challenge for EA and 2K. I don’t see either company developing completely separate NBA titles in order to cater to both offline simulation and competitive online play, so striking that balance is just something that they’ll have to keep striving for. This means player builds that are viable both online and in the career modes, mechanics that aren’t cheesy and overpowered in multiplayer scenarios, and tuning that satisfies both groups of gamers. Perhaps some attributes should only come into effect online, while others are strictly offline variables. Be it through separation of mechanics or harmonious tuning, the balance needs to be there. For many years, realistically depicting the sport and various aspects of the NBA was the biggest challenge in basketball games. We’ve come to the point where sim titles can play a very fun and realistic game of hoops, with deep modes. The rise of online gaming has seen the need to cater to two different audiences within the demographic though, and right now, both factions have their gripes. As I said, I believe we must stand together as a community, and support each other’s feedback. I’m not so deluded to believe that my appeal alone will change the way that the community behaves and eradicate toxicity, but I believe it needs to be said all the same. Perhaps we all need to be taken down a peg. Playing online does present challenges that playing against the CPU doesn’t, but it can also involve exploiting gameplay mechanics. Single player modes offer the purest simulation experience, but it’s not the only way to play, and does lack the same competitive environment as online. It all comes down to what you prefer, with both ways of playing being completely viable. It’s something for us to keep in mind, but I’d implore the developers at EA and 2K to be mindful of it as well. 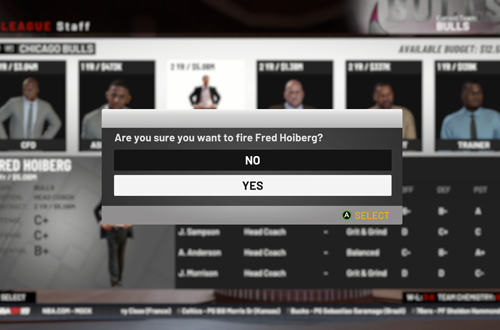 It can’t be easy to produce a game that satisfies both online and offline gamers, but a great hoops title mustn’t relegate either group to the bench. 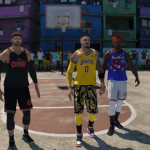 Great read mate online Vs offline is something that is the great debate lately and what I said as you mentioned on the podcast that some people don’t play the game for the nba side but purely for the street ball and it got me thinking, am I the same as them when comes too battlefield/CoD? I have zero interest in the single player offline story mode and only focus on the online team deathmatch, am I hurting there game or community? I guess the only way I can justify it is that all modes really are single player modes unlike basketball where you have 4 other guys there that have to be involved too? Maybe Iam getting old but online gaming gets old real quick for me and in All games you have the same types of player who in your opinion ruin your gaming experience but I think being such a huge basketball fan and sim game enthusiastic as I am I just fail to have fun with nba video games online, being in the UK for start means playing in the same time zones as a lot of my online fellow gamers is difficult so there is no team focus results in playing with 4 randoms who quite frankly would have had the ball thrown at there head by teammates if they played the way they do online in any of the league’s I’ve played in over the years so for me I will forever be a happy offline player as long as I have nba focus, smooth gameplay and a nice franchise mode. It’s really a sign of the times, isn’t it? People saying that they’d play without the NBA license or that the games are being too sim. Back in the day, we’d never want to do that or consider realism a problem! I’ll admit to not being too familiar with a lot of first person shooters these days, but I think the FPS genre has been about the multiplayer experience for a long time. Even going back to the late 90s with modem-to-modem Duke Nukem 3D play (memories!) or Goldeneye 007 on Nintendo 64 (even more memories! ), if nothing else the replay value was in multiplayer. There definitely is a difference, though. In an FPS game, you have a certain amount of autonomy, and your own weapons. In basketball games, there’s just one ball, and you have to cooperate (not that everyone does, of course). There is a certain consistency in the offline experience (updates and tweaks aside) that isn’t there online. You do rely on your teammates and opponents alike to not be toxic in order to have an enjoyable experience, and unfortunately, it seems like that’s a lot to ask of some people. It can be a lot of fun, though.